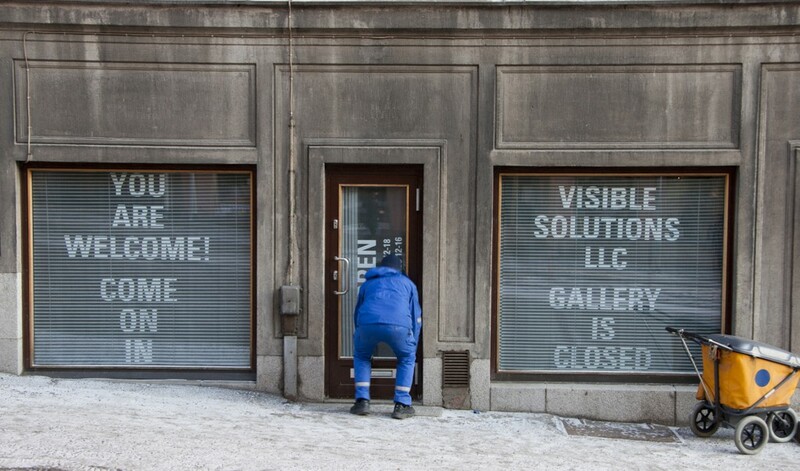 Visible Solutions LLC is a capitalist anti capitalist artwork-enterprise co-owned by three artists – Sigrid Viir (b. 1979), Taaniel Raudsepp (b. 1978) and Karel Koplimets (b. 1986). The company was established on 2010 in Tallinn, Estonia. 2010 was a year of economic depression, on the beginnig of 2011 our minister of finance was nominated the best of europe by the The Banker magazine. By situating itself into the border zone of economical and artistic fields the company creates an independent platform for investigating the neoliberal utopia and it’s effects on both fields. The main sphere of interest of the enterprise is constituted by the mechanics of the world of economy and the world of art which they try to set against each other – economy as art, art as trade and production.